Shop > Categories > Your Recent Finds > ID help needed! 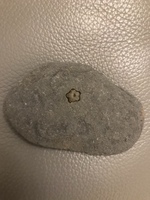 I believe that this is the cast of a crinoid ossicle as crinoid ossicles can take the shape of a star, flower, circle and it can take up many different shapes as well. 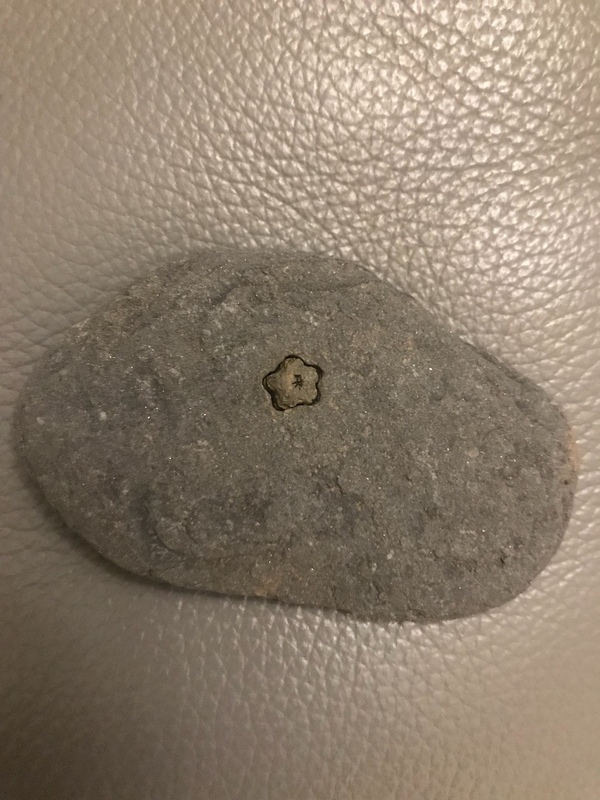 I won't be able to identify the species of this crinoid ossicle and the age of it but I am definitely sure that the flower-shaped feature on the rock is a cast of a criniod ossicle. 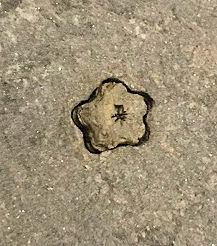 You could look up fossilised crinoids online if you have never heard of crinoids before and there will be many sections of information on crinoids. I hope this helps. Welcome to the forum Hanna, a nice little find for your first foray! This is the cross sectional view of a single ossicle (plate) of a crinod. In future, pplease add a scale to all photos - it helps! Pentacrinites ?sp according to my Scarborough born BSC (Hons) Geology friend. That’s a lovely find - I love the simple beauty of crinoids!